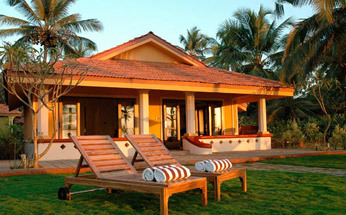 Taj Holiday Village resort that commenced operations in 1981, exhibits a seamless blend of contemporary stylishness and traditional Goan-Portuguese architecture. 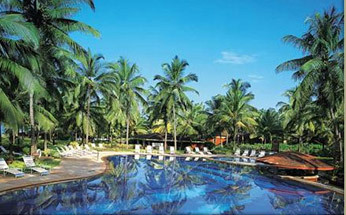 This sea facing resort is stunningly located on the Sinquerim beach. 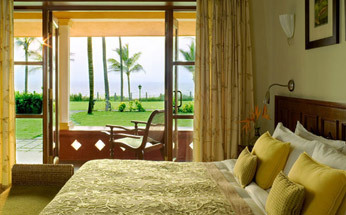 The resort offers guests an enjoyable stay in scintillatingly vibrant Goa. 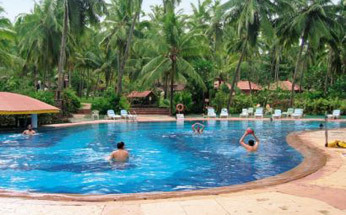 The resort has been refurbished with stretches of green bringing eternal charm of Goa to the surface. The guests feel completely at home at this beach resort. Taj Holiday Village is a wonderful wedding location and ideal for big and small weddings. 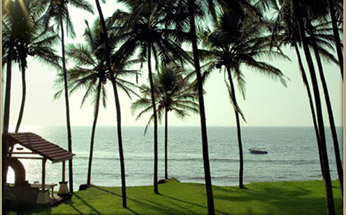 Moon Deck with an accommodation capacity of about 800 persons offers a stunning view the Arabian Sea. The Outdoor lawns of the hotel can comfortably accommodate 400 to 800 persons. The Sea facing lawn can accommodate 1000 persons approximately and ideal for big weddings. 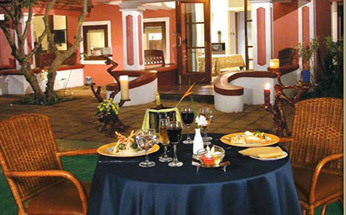 Taj Holiday Village resort offers tourists and guests some culinary delights. 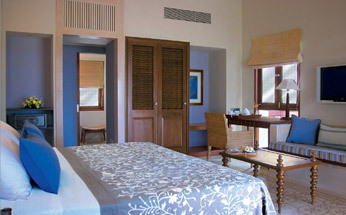 For this purpose the resort has upscale restaurants like ‘Banyan’ that serves delectable Thai cuisine. In addition there are other restaurants like Carvela Jungle Jam and Pool Bar where guests can enjoy uplifting wine and dine experiences.